On Friday, 24 November, our team of twelve ran the Antarctic Ice Marathon on Union Glacier to support the Navy SEAL Foundation. We all finished the race, had a great time, and managed to raise 450K in the process! We dedicated the race to Brian Hoke who was a SEAL killed in action last year. We were very honored to have Brian's wife, Christy, run the race with us - her first race was a marathon in Antarctica! Watch Christy's inspirational video and the official 2017 race video. Rob contemplating mocking me while avoiding vomiting after finishing strong. 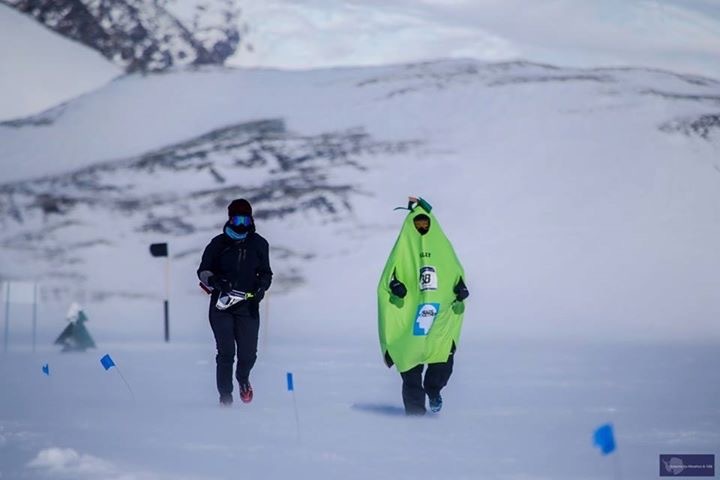 Whitebox funded the entire team's entry fee for the race and they were the sponsor for our original 2014 Polar Challenge fundraising run in Greenland. For the record, he crushed me this year and it will never happen again. Erin and I grew up in Ohio together. He is a great friend and has an amazing entrepreneurial story. His company, Big Sky Packaging is a rocket ship. He is giving back by supporting the foundation in a big way. Beyond his generous contributions, he drummed up support for and attended the 2017 NYC benefit dinner, participated in our "Pushing the Limits" fundraiser hosted by Mr. Greg Olsen, and participated in the NSF New England range day fundraiser at the Sig Sauer Academy organized by Jeff Sabados. He is already building a coalition for the 2018 NYC benefit dinner. Quinn and I were in the same company at the Naval Academy and served together at SEAL Team TWO. He was one of the original organizers of the NYC Benefit Dinner and is a tremendous friend and supporter of the community. He ran with Brian Hoke in Greenland in 2015 but was not able to join the team in Antarctica this year. I received very generous donations from my parents, sister, extended family, and friends. I am very grateful for the support. Most importantly, thanks to my wife and kids for supporting me being gone during Thanksgiving, training, and fundraising events. Sign up for the 2018 Navy SEAL Foundation NYC Benefit Dinner here.